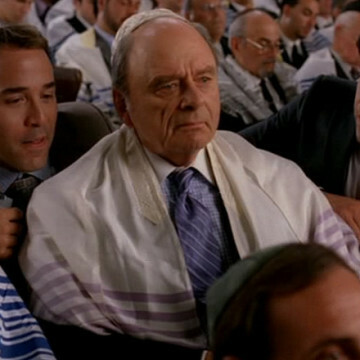 Harris Yulin appears as Arthur Gatoff roughly eleven minutes into season three’s seventeenth episode. Ari and Nick Rubenstein approach Arthur at his temple on the day of Yom Kippur to discuss the Medellin project in which he is in control of. Their disregard for the holiday and the sad state of the project in general prompt Arthur to scrap the film. Yulin also played Mel Bernstein in 1983’s Scarface and the role of Roger Stanton in several episodes of 24.